Our clients come to us in some of their most difficult moments. Our Indiana Family Law Attorneys have decades of experience working with clients through divorce, separation and many other difficult times. They also help with child support, emancipation, Wills, Health Care Powers of Attorney and more. Whatever your need, our family law attorneys are here for you. Our family law attorneys will provide you with a clear understanding of your options during your family law proceedings. Our experienced legal minds have the track record of success you deserve and are ready to take on any family law case in Indiana. We can help with adoption, step-parent adoption, divorce, child support, and child custody. Please contact us for more information. 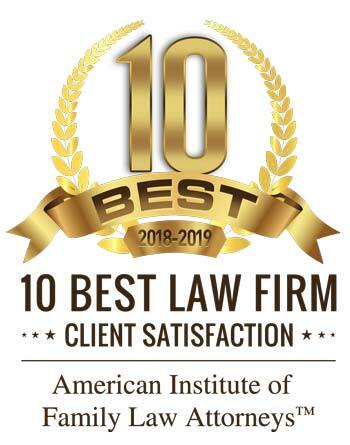 At Garrison Law Firm, you will find experienced Indianapolis family and divorce attorneys who have represented clients in a wide variety of family law cases. What is important to you is important to us. Our goal as a family law firm is to achieve justice for our clients and ensure that they receive the legal representation that they deserve. We represent a broad range of clients from the greater Indianapolis area. Our clients include professionals, middle-class families, and families from all lifestyles. Each of our clients is always treated with the utmost respect. Consulting a law firm when filing for divorce is a wise decision, regardless of whether a divorce is uncontested or expected to be a difficult legal battle. A Garrison Law Firm attorney can do all of the tedious research required to account for the property that is held by each partner. Legal representatives work to get their clients a fair share of the finances and real property obtained during a marriage. Legal separation can be similar to divorce when property is divided, custody is established, and maintenance payments may be ordered. However, no divorce is granted in this situation. Some couples opt for separation over divorce for reasons related to finances or religious beliefs. Establishing or changing a child support order requires gathering financial information from both parents. Our Indianapolis law firm can step in to handle, organize, and file paperwork to make sure child support orders are accurate and fair. When the custody of a child is in question, parents or guardians need to have someone who can provide compassionate representation while being emotionally removed from the situation at hand. Whether the topics include custody arrangements or child support orders, appearing in family court can be an unnerving experience. Decisions made in the courtroom may affect the relationship that a parent has with his/her child. Our firm can provide representation in family court. Getting a fair share of joint property and completing the divorce process as smoothly as possible can be hard when emotions are running high in the courtroom. Attorneys are able to calmly fight for their clients’ rights in a divorce court setting. Complicated situations often arise when a stepparent wants to adopt his/her stepchild. If the non-custodial parent disputes the adoption, a court battle could result. Even if the process is not disputed, complicated legal issues including stepparent adoption laws and the termination of parental rights by the non-custodial parent are involved in the process. In Indiana, the statutes are very specific on how advanced directives are to work and we have to abide by those rules. Have to do with oral or written communications that tell those around you what to do for you in the event that you’re incapacitated and how you want end of life decisions to be made. In the main, they come in two forms. One is the Health Care Power of Attorney and the other is the Living Will. Emancipation is the legal term used when your child no longer is eligible for child support. In Indiana, child support used to terminate when a child reached age 21 (age of emancipation for child support purposes). As of July 1, 2012, the Indiana statutes have changed, and child support now terminates at age 19, although an educational support order may be imposed for college costs. Your child may also be emancipated for child support purposes if he or she joins the military before his or her 19th birthday, gets married, or is no longer under your care or control, and is capable of supporting his or her self. If your child fits into one of the above categories, you may want to consider filing a court petition to emancipate your child or to modify your child support order. A Power of Attorney is a document that lets you delegate financial or health care decisions to another person to make on your behalf. How Do I Know I Need a Will?